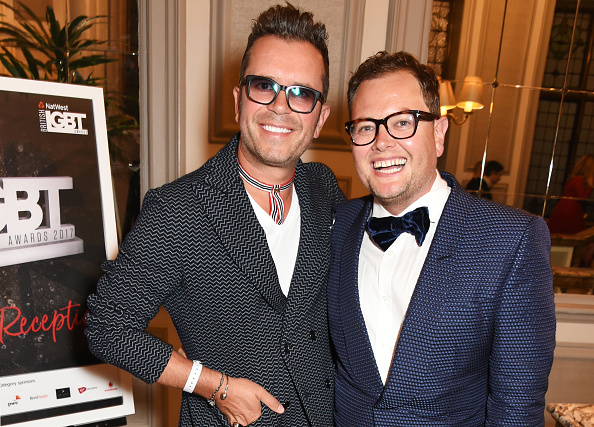 Alan Carr has finally married his longtime partner Paul Drayton and congratulations are definitely in order! The couple are currently on honeymoon in Mexico and are planning a big celebration with all their family and friends back in the UK later this summer. They are both extremely happy. The couple have been together for ten years and finally tied the knot after Paul placed a ring in Alan’s pudding, which Alan mistook for a dislodged filling when he bit into it. It was reportedly a very small affair, getting married in front of just four witnesses in Lost Angeles. Alan is hugely eccentric but, when it came to his wedding, he wanted to keep it as private as possible. They chose Los Angeles because it’s away from prying eyes and they wouldn’t be recognised – plus there’s no issue with the weather there. It was a brilliant day and now both Alan and Paul are looking forward to chilling out in South America. It was as intimate as you could imagine with just four guests invited. In true Alan fashion, he isn’t going to let this momentous occasion go without a big old celebration when he and 46-year-old Paul return from their honeymoon. The couple became engaged back in 2016 – when they were on holiday in Indonesia – and were reportedly very excited to plan the big day, hinting he would try and get good friend Adele to sing after the nuptials. I don’t know exactly what we’ll do… but a big old wedding and we’ll get Adele singing ‘Someone Like You’. 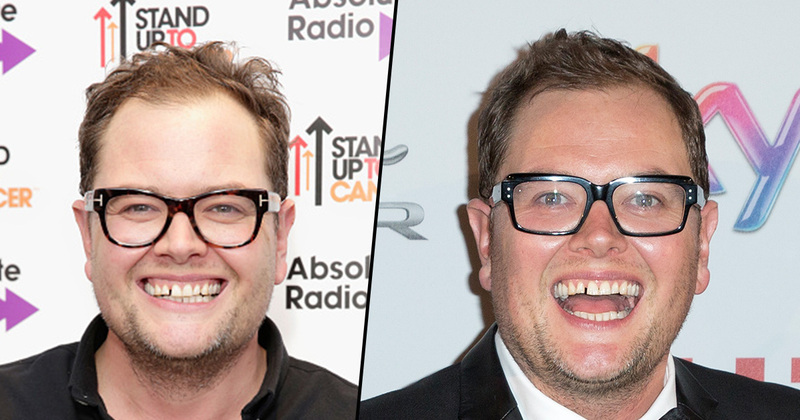 It doesn’t seem the couple will be entertaining any ideas of becoming fathers, as back in 2015, the comedian downplayed any indication they were feeling broody. I don’t have a fatherly bone in my body. I struggle with two dogs, I forget to feed them sometimes, let alone a baby. Plus, everyone who has kids looks terrible. I see people and say, ‘Are you on crack?’ and they’re like, ‘No, I’ve got two kids’. Paul luckily isn’t into kids either. Whatever the future, we wish them the best on their honeymoon and on their marriage!